You can either use the request a viewing form on the property page, email us at info@mk-lettings.co.uk, or call 01908 930121 option 1. Q. Once we have found the house we like, what is the next step? You will need to fill in an application form on our website and pay your application fees. Once we have received both of those we can start the process of completing your application. You will be sent a referencing questionnaire that will allow us to gather the necessary information we need to carry out the credit reference and other background checks. Once those have been approved and sent back to us, we can start the process of preparing your tenancy agreement for you to sign. 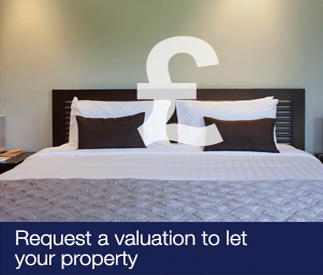 We will arrange an appointment with you to sign the tenancy and collect a deposit payment and your first months rent. These payments need to be cleared funds before the commencement date of your tenancy agreement. Q. When will I get keys for the property? You will meet one of our representatives on the day you move in, in order to complete the inventory and check-in report. Once this has been satisfactorily completed, you will be given keys to the property and the house will be yours! Q. Where does my deposit get held? In accordance with Part 6 of the Housing Act 2004, landlords and agents are now required to protect deposits taken for assured short hold tenancy agreements (ASTs) in an approved scheme. Your deposit will be registered with My Deposits. You will usually receive notification of registration from the My Deposits within 28 days of paying your deposit to us. Q. Do you accept pets or DSS? Not in our shared houses. In respect of single let properties, these are looked at on a case-by-case basis and ultimately will come down to the discretion of the landlord. Q. What happens if I get behind paying my rent? We appreciate things don't always go as planned, however it is important to ensure that your rental payments are kept up to date. You may be charged if rent is late, so you need to contact us as soon as possible to see what assistance we can provide you. In our experience, the sooner you call, the sooner we can make the situation better, the longer it's left, the more there is to deal with. There are number of debt advice agencies that you will be able to talk with. Q. How do I get my deposit back at the end of the tenancy? At the end of your tenancy, dependent on all your tenancy terms having been met, we aim to return your deposit cheque to your forwarding address within ten working days from the official vacating date.